This is an exact reproduction of the orginal door courtesy light switch. These are the white plastic with black button version. 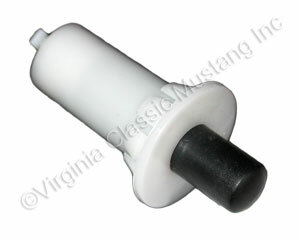 This version was used on many 65-67 models. 2 pin type.